When horses comes in injured , starved and untrained all share the same common problem: the need for a safe training area. At present FCR only has a fenced 80 x 160 ring. 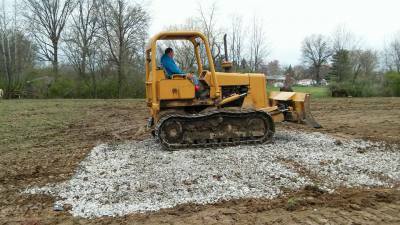 Because the footing is dirt during some times of the year it's mud and unusable for rehabilitation purposes in our Ohio climate. Our busiest time for saving horses is in the winter therefore it's critical to have safe footing to continue healing . 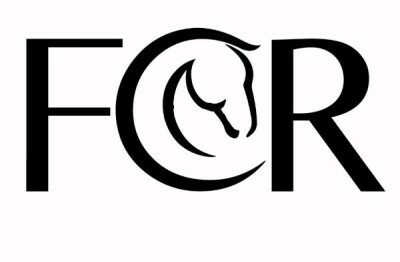 You can help us by donating to FCR to build a safe, all weather sand arena where we can safely rehabilitate horses any time of the year. FCR is having a fundraising and silent auction event at beatiful Harmony Hill Vineyards . Listen to some music, help FCR and enjoy some light refreshments. You must be 18 years or older to enter the Vineyard. Visit our online auction to see our great saddle and other tack items, art and more. 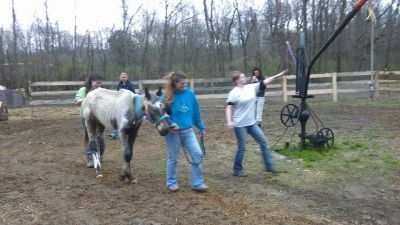 Read more about what care it takes to help these neglected and abused horses . 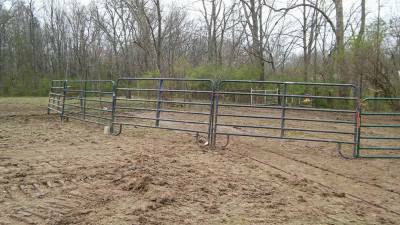 Fighting Chance Rescue has added new shelters and a round pen for horses rescued from abuse and saved from kill auctions.